DMX Sentenced To Jail. Might End Up In Rehab. Bad idea!! But that’s just me. DMX has had a lot of trouble the past few years with drugs and staying on the right side of the law. Most recently, the rapper, whose real name is Earl Simmons, was sentenced to six months in jail in connection to a probation violation charge out of Phoenix, Arizona. He earlier admitted to five violations of his probation, and blamed it on all on his drug habit. During the hearing, the judge was given a letter from Dr. Drew Pinsky asking the court’s permission to send DMX to drug rehab at the doc’s Pasadena Recovery Centre. No decision has been made, but the judge is said to be “open” to the idea. DMX’s lawyer, Glen Allen, seems to be on board. Nakia Walker, DMX’s manager recently spoke out in support of her troubled client. I understand that DMX’s problems with the law are most likely a result of his underlying drug addiction, but I really don’t think doing a stint at Celebrity Rehab is what he needs. 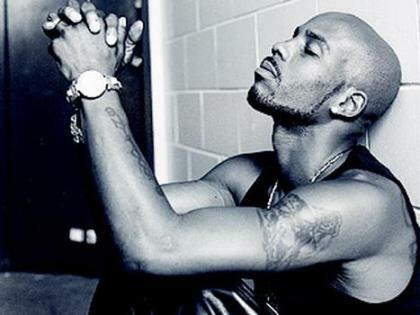 I think Dr. Drew is a good doctor and effective, but DMX has been given so many chances; he needs to be locked up. The courts should just put him on the Redmond O’Neal jail/rehab plan and be done with it. DMX should start dating Lindsay Lohan. They can be the “we should be in jail but we’re lucky bastards so we’re not” couple. previous post: It’s St. Patrick’s Day 2010 – Time To Drink!! next post: Michael Lohan Had A Heart Attack. Maybe. 50 queries in 0.638 seconds.